No label on this, but I figured out that it's Burnt Lake with East Zigzag beyond. 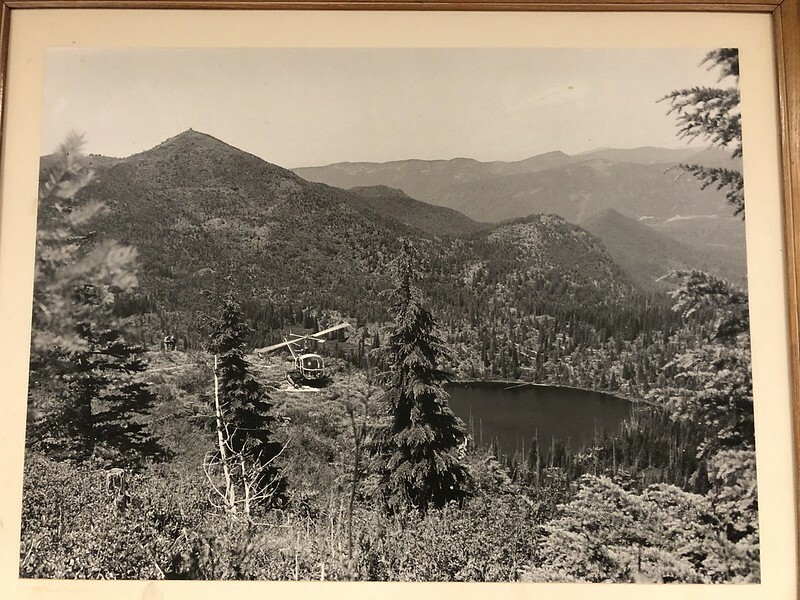 The East Zigzag fire lookout is visible so this is pre-1965 since the lookout was removed that year (photos of it being burned down are here). Can't figure out where that helicopter landing pad would have been, though. That is really cool, Cheryl. I always wondered what/how they used those helipads. They are/were all over the place, but most are pretty hidden now. It is fun to find them. Thanks for posting the photo. Where did you find it? Last edited by aiwetir on July 24th, 2018, 3:04 pm, edited 1 time in total. It's framed and hanging in the conference room at the Zigzag Ranger Station, where I had training this weekend. That is the exact spot where I proposed to Dawn. She said yes, of course. Then she stepped on a yellowjacket nest, got stung, then fell down running away Quite a memorable day. So here's my guess on the location of the Helipad and Photographer. Based on my guess at the location of the photographer there was some planning and/or effort put into this picture. There's a "backwards square root symbol" on Zigzag East that shows on both Cheryl's picture and the screen shot from Google Earth Pro. I first used Google Earth Pro.....looks pretty close. Then plotted the locations on Caltopo. Now who's going to go up there and find the spot to see if that view still exists? Last edited by aiwetir on July 24th, 2018, 3:03 pm, edited 1 time in total.